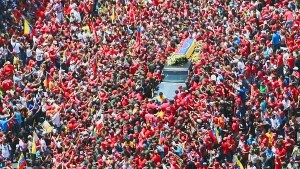 Like a red tsunami, the Bolivarian people went to Caracas to say farewell to their leader, President Hugo Rafael Chávez Frías. Entire families, women and men of all ages, youth and children descended from the hills surrounding the capital, from the broad plains and from the mountains. From the darkest recesses of the country they came, bearing deep pain but also immense thanks. For seven hours a sea of ​​people accompanied the coffin as it was carried eight kilometers along the avenues of Caracas, from the Military Hospital toward the Military Academy. The House of Blue Dreams, the Comandante called it, because it was there he received the military training he used to liberate his homeland in this “second independence.” He will lie in state there for some days, allowing the people to make their farewells. 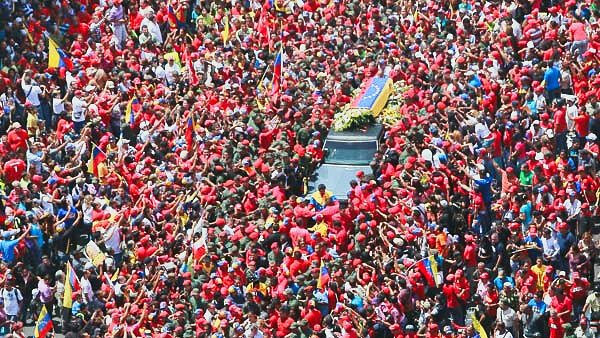 For seven hours a sea of people accompanied the coffin as it was carried eight kilometers along the avenues of Caracas, Whoever could get close threw countless flowers, portraits, hats, gifts — tokens of love from the people. Walking alongside the coffin with Nicolas Maduro, who later that day was sworn in as Venezuela’s acting president, were three other Latin American presidents — Evo Morales of Bolivia, Cristina Fernández of Argentina and José Mujica of Uruguay — who came as soon as they learned the news in order to accompany the body of their dear friend Chávez and the Venezuelan people. There were so many people that, when there was no longer any room in the surrounding streets, they climbed trees to see the procession. Whoever could get close threw countless flowers, portraits, hats, gifts — tokens of love from the people. Once they reached the Academy, the ceremony in honor of Chávez began with the national anthem, played by the Simón Bolívar Youth Orchestra, conducted by Gustavo Dudamel. An honor guard then stepped up, which changed every three minutes and included the presidents of many countries. President Raúl Castro of Cuba was the first head of state called to stand guard, followed by the leadership of the Revolution, Chávez’s family, and Venezuelan youth representing the political sector, the military, culture and sports. A moving and inclusive ceremony followed, with Chávez’s favorite music and with messages from religious figures, including a speech by the Rev. Jesse Jackson of the U.S.
Presidents came from 55 countries in Africa, Asia, Europe, Latin America and the Caribbean. There were representatives from Iraq and Syria. From Iran, the visibly moved President Mahmoud Ahmadinejad kissed the coffin. The international presence was extraordinary. From the U.S. there was actor Sean Penn and former Congressperson Cynthia McKinney. Obama sent two representatives. Many government figures were crying, visibly pained. It was an extraordinary expression of genuine feelings rarely seen in similar situations. The ceremony ended with a very touching speech by Maduro. 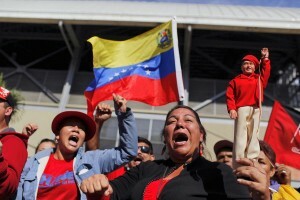 People in dozens of cities around the world held vigils and organized other expressions of solidarity with the people of Venezuela, shown here in Caracas. 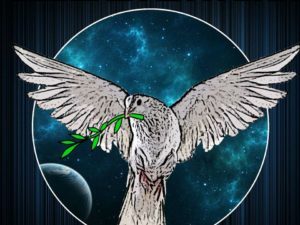 At least 16 countries decreed mourning periods from three to seven days, including Cuba, China, Ecuador, Haiti, Iran, Nicaragua, Nigeria, Peru, Uruguay, Dominican Republic, Argentina, Belarus, Bolivia, Brazil and Chile. While the funeral ceremonies were being held in Caracas, people in dozens of cities around the world held vigils and organized other expressions of solidarity. At least 16 countries decreed mourning periods from three to seven days, including Cuba, China, Ecuador, Haiti, Iran, Nicaragua, Nigeria, Peru, Uruguay, Dominican Republic, Argentina, Belarus, Bolivia, Brazil and Chile. 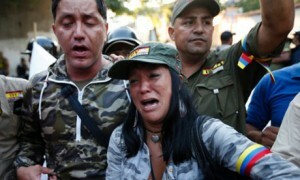 Expressions of sympathy poured into Caracas from all over the world. After the ceremony the endless parade of people continued. Rows many miles long waited outside the Academy, sometimes for more than a day, to salute their deceased leader. About 40 people passed by the casket each minute. Outside, the government set up tents to provide assistance to the thousands of people patiently waiting to enter. What is behind these profound expressions of love and mourning? 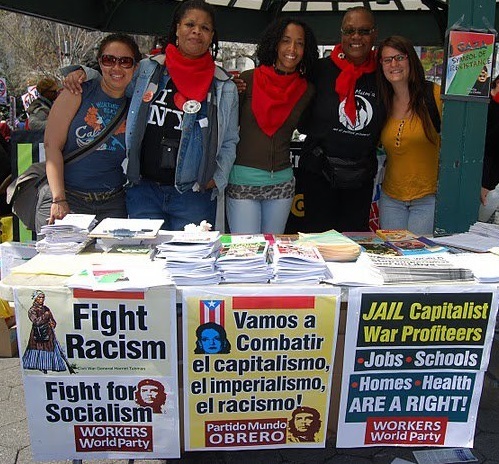 Telesur, the station created by the Chávez government as an alternative to the commercial bourgeois stations that are racist and spokespersons of U.S. imperialism, covered live all the events related to the death of Comandante Chávez. Telesur interviewed hundreds of people to show the world how Venezuelans feel and think in these sad times. This opened a window on the strength of Venezuela’s revolution, which is the people, and the sense of responsibility they feel to continue Chávez’s legacy. Their confidence in the new leadership of Maduro could be seen by their comments and slogans: “Chávez lives, the struggle continues,” “Stay strong, Maduro, the people are with you,” “For Maduro, 10 million” (votes in the next presidential election). Chávez’s historical significance can only begin to be seen now. Only time and the course of the revolution will show the extent of his historical impact. His importance is not only local in Venezuela, nor even regional in Latin America, but is global. One can write volumes about the legacy of Chávez, including lessons on the role and the tasks of revolutionaries. Chávez changed the history of Venezuela. Not only the social and economic projects, which have already been written about abundantly. Even more significant is that he involved the masses of the people in the revolution and helped increase their political consciousness. That has been proven by so many comments like “Chávez helped us to know our history, to love, to unite, to value our own worth, to have dignity and national pride.” Now the people are aware of their importance in the history and development of their country and the region. One of Telesur’s many segments was about the reflections Chávez arrived at while he was in prison after the failed coup of 1992. 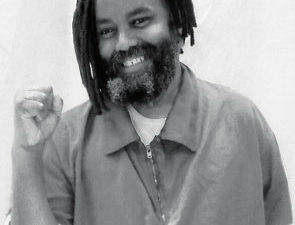 He mentioned that the prison stay made him understand that only a people with consciousness can be the real driving force to transform society. It is a truly dialectical process — the people in motion with consciousness. 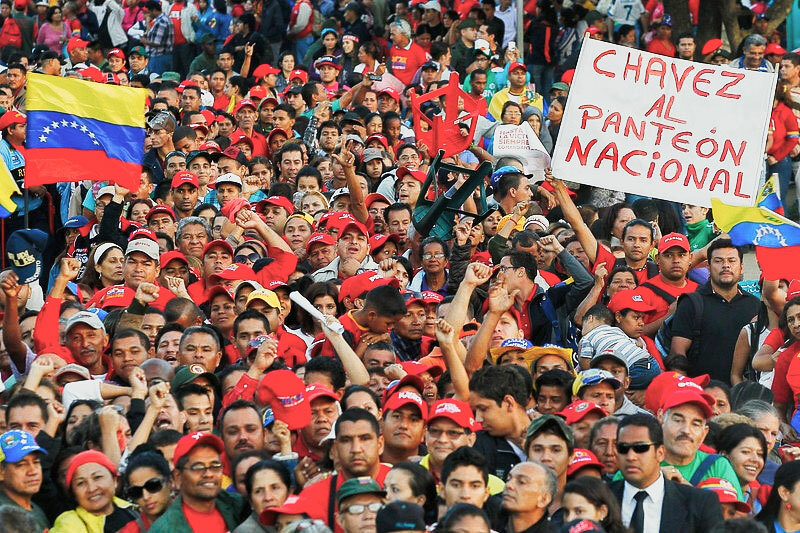 Chávez was that force, combined with the people. On the one hand, he was deeply influenced by the people, wanting to rescue those who for decades had been the victims of right-wing and corrupt rulers who served not the people but foreign capital. In turn, he influenced the people, the masses thirsting for justice. That campaign, which began in Venezuela, with its dignified and courageous forerunner in Cuba, turned back on a global scale the demoralizing, reactionary wave that had taken hold of many progressive movements and parties after the collapse of the Soviet Union. It rekindled hope for a socialist world, for the real possibility of achieving socialism, not a utopia. Cuba was no longer alone in the Americas. That struggle for socialism, combined with a firm, serene and steady confrontation with neoliberalism and imperialism, with a frank and straightforward voice, was a lesson in courage for the world. And so the world has learned and reacted. Other lessons came from the challenge to institutions representing transnational capital, the World Bank and the International Monetary Fund. Another lesson was about safeguarding the wealth and resources of Venezuela to use them for the welfare of the people and not for the benefit of capital, especially foreign capital. The great example that Venezuela has given was to use oil revenues to fund social missions. Thus, at a regional level Chávez, together with Cuba, took on the work of achieving what is called the “second” Latin American independence that his hero and political mentor, Simón Bolívar, had dreamed of for the region. But as he said many times, America will not be free until it is one. And so began the process of integration, with ALBA (Bolivarian Alliance of the Americas), UNASUR (Union of South American Nations) and CELAC (Community of Latin American and Caribbean Countries) creating joint partnerships in solidarity. Through these regional blocs Chávez tried to create a multipolar world. 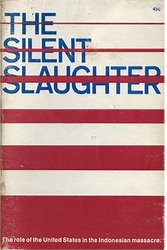 U.S. imperialism, while it remains cruel, vicious and dangerous, now sees itself more and more isolated, losing the hegemonic position it used to count on. 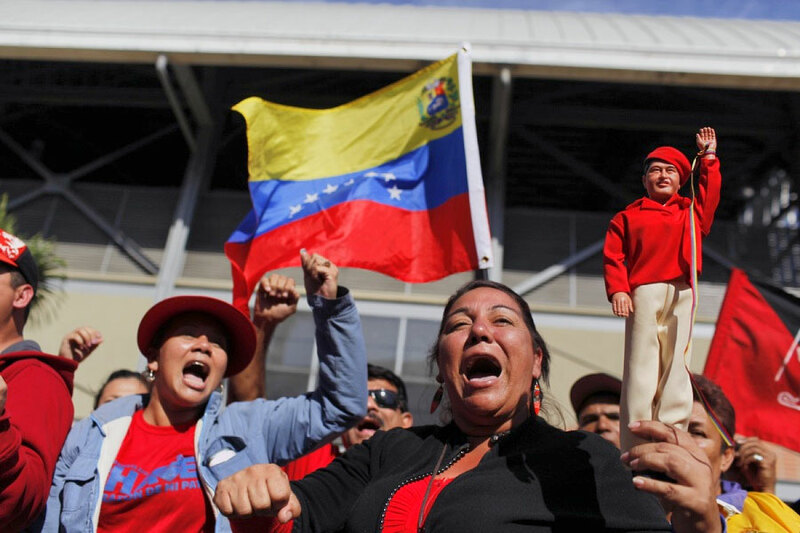 These are lessons that make Chávez and the revolution he led a role model. An anti-imperialist hero with a humble, cheerful, generous personality, he won millions of hearts around the world.